Reader’s Choice : Enough is ENOUGH! A personal choice for every woman with Endometriosis : When have I suffered enough pain and when do I step up the treatment? Some women prefer natural methods of controlling their Endometriosis symptoms : supplements, vitamins, diet, and essential oils. But these methods may not work for other women. I’ve gone the route of prescription narcotics, surgery, and chemical hormonal treatments. Other women have undergone hysterectomies. When and how do you decide which is right for you? Only you know the answer to that question. May women swear that they have obtained hormonal balance and gained control of their Endometriosis symptoms by a change in diet and following a regimen of natural herb, supplements, and vitamins. I have altered my diet along their same lines and have enjoyed a much healthier lifestyle. Unfortunately, I am also undergoing Lupon Depot injections and am unable to distinguish if my lack of pain and symptoms is due to the diet change, the Lupron, or both. In a few months when the medication is out of my system, I will be able to more readily judge. More information on diet and supplements that may help with Endometriosis can be found here and here. Prior to learning I had Endometriosis, my primary care physician had prescribed me Naproxen Sodium to handle the pain. It was the only medication that helped. Of course, it came with it’s side effects, but the benefits outweighed any issues the medicine itself created. As stated above, I am currently on Lupron Depot…more of what that is and what it does can be found here. Once my regimen of Lupron Depot is completed, I will be going on constant birth control to keep my hormone levels in balance, hopefully slowing the growth of any new Endometriosis implants and adhesions. Laparoscopic excision surgeries are common for women with Endometriosis. It identifies and removes any implants and adhesions, temporarily relieving pain. More on that surgery can be found here. Hysterectomies are no cure. But it is what modern medicine leans on a fix. Although temporary for some Endo sufferers. Hysterectomies also come in various shapes and sizes,so to speak. Not all hysterectomies are created equal. 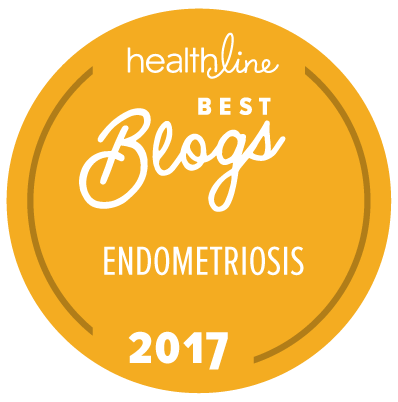 More on hysterectomies, the different types, and why it may not work to relieve Endometriosis can be found here. Talk to your physician when you need to make a decision regarding the best way to treat your Endometriosis. Then get a second opinion. Talk to your friends and family. And fellow Endometriosis sufferers. Get advice from every source you can think of. Then take a few days to digest it all, weigh the pros and cons, look deep within yourself and figure out how you best want to handle it. Another friend of mine had a hysterectomy a decade ago and her symptoms are just now beginning to return. Several Endo Sisters I know use supplements, but struggle to find a balance to maintain control of their pain. Others do not struggle at all and have found what works best for their bodies. Some swear off “modern medicine” while others embrace it. I have only recently had my first surgery and am going the “modern medicine” route. But who knows what my feelings will be if I need to go in for a second surgery. For me, recovery was miserable…and I don’t know if I would have the mental and physical fortitude to withstand multiple surgeries (and more importantly, recoveries). But also knowing that a hysterectomy definitely is not a cure scares me from going that route. I do not know what I will choose when I’ve hit the “enough is ENOUGH!” point…only time will tell. Love this! Great info. For me, the answer to “when is enough enough?” seems to change as time goes on. Last time, an ER visit showed me that it was time for another surgery. Right now, however, I know it’s past time and I can’t afford it right yet, so I’m masking some symptoms thru pain management (which I was originally in for an unrelated condition). For that reason, I’ve been able to avoid the ER but I can still feel that it’s time to remove remaining Endometriosis and likely a lot of adhesions. I still don’t know what my next breaking point will be, even after 20+ years of living with Endometriosis. It changes, so we react accordingly. You’re right. It’s definitely a personal decision, which is unique for each woman.